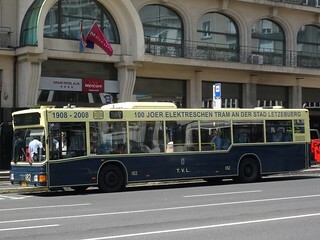 Bus services in the city of Luxembourg are operated by AVL (Autobus de la Ville de Luxembourg). 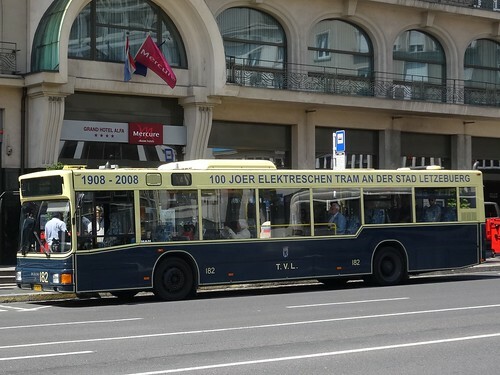 This MAN bus is in the old livery of TVL, the tramway operator in Luxembourg until 1964. Now there are plans to build a new tramway line in the city.